We can supply the following Hand-made Wooden Framed Glazed Display Cases to hold individually mounted groups of medals. These Glass-fronted cases,which are hand-made using a wooden frame ,are fitted for wall-mounting and are designed to hold a group of medals which are mounted on a standard pin-brooch bar. 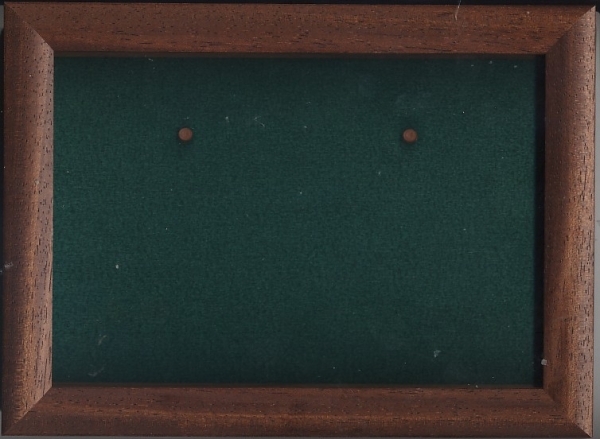 This therefore allows,by means of a removable back,which is lined with a green velvet type cloth for the group of medals to be removed for wearing. There is sufficient space in the case underneath the medals to accommodate an engraved brass plaque,which can be engraved with the service details of the medals' recipient .